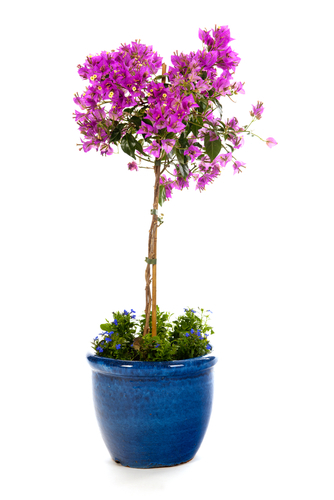 For an instant sensational appeal, few plants can beat Bougainvilleas. Their luminously vibrant flowers are like a window into a warmer place when our summer skies are grey. The vivid blooms are actually brightly coloured bracts surrounding clusters of tiny white flowers, and although they look exotic, you can grow Bougainvilleas in Ireland – you just need to protect them from frost.